Maruti goes for a CNG drive – Advantage consumer! As the world gradually comes out of the grip of recession, the consumption demand has staged a remarkable come back in the developing economies like India – and, so also has the intense competition, lined-up to grab this incremental demand. Speaking industry wise, it goes without saying that the automobile sector in India has been the best performer so far on the backdrop of improving environment and increased consumer spending. However, one can get a feel of the intense competition in this sector going solely by the fact that the market leader in the 4-wheeler category – Maruti Suzuki – has lost quite a bit of market share over the last one year. Interestingly, the market share of the country’s largest car maker has shrunk to 47.59% leading up to the June quarter for the last one year, signifying a drop of 7% from the earlier market share of 54% during the preceding year. 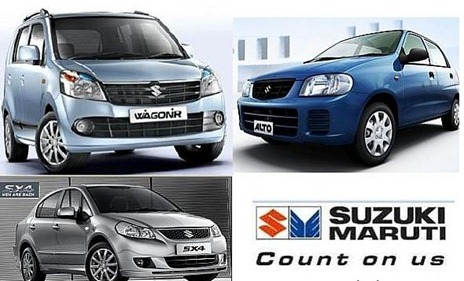 This is for the first time that Maruti has seen its market share drop below 50% in its history. In a bid to regain some of its lost ground and at the same time benefit from the prevailing situation of high demand growth, the company is expanding capacity at a faster pace upping its annualized production by 20,000 vehicles to 1.3 million in the second half of this year. In fact, some automobile experts suggest that the competition might intensify further powered by the new products from Toyota and Hyundai. That’s not all – In an unprecedented move to cap its eroding market share, Maruti will also launch five new cars in CNG versions in a single day in the mid-August. Yes, Maruti is all-set to unleash some of its best-selling models such as Alto, Estilo, Wagon-R, multi-purpose vehicle Eeco and mid-sized Sedan SX4 with factory-fitted CNG versions – which will offering Maruti a first mover advantage in the market for CNG-fitted cars. Moreover, this move will come handy at a time when Congress-led UPA government has decontrolled the prices of petrol and hiked the diesel prices, thus ensuring that CNG as an automotive fuel retains its cost competitiveness. Compared to the present price of liquid motor fuels, CNG at the revised price will still be cheaper by 60% and 30% as compared to petrol and diesel prices respectively. Besides, a switch over to CNG-fuelled vehicles also leads to drop in carbon monoxide levels leading to significant emission-based advantage and offers vehicle fuel economy. Understandably, the brownie point that the Maruti wants to score with a factory-fitted CNG powered vehicle is that it saves the vehicle owner from hassles of significant modifications that are needed to be carried out for a gasoline engine designed to run on CNG. In fact, such factory-fitted conversions operate very well and alleviate bulk and the complexities imposed by a manually-fitted dual-fuel system in a vehicle. Do you feel Maruti can regain its lost market share by innovative methodology of factory-fitted CNG powered cars? I think Maruti is good in fuel economy cars. CNG is affordable to average people. It is also good for environment. So I wish Maruthi’s CNG version should succeed.